Looking for the best automatic call recorder app for android phones? If yes then you have landed at the right place because you will find them right here. Call recorder apps are those apps which are used to record your calls or conversation with another person. This is applicable for both incoming and outgoing calls. Here in this post I will list down the best call recorder android apps which can automatically record your both incoming & outcoming calls. These call recording apps also comes with various features which can prove very handy. But first learn the use of these automatic call recorder apps. Here are the various situations where these automatic call recorder apps can be used for your benefits. 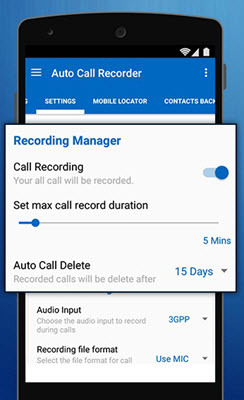 For Keeping Record – If you want to record some important conversation and keep it for record then you can use these android call recorder apps and record the calls. The recorded calls will be saved to your phone from where you can also transfer it to your computer using data cable or via Bluetooth or internet. For Proof – If you want to record a call as a proof for any legal matter or other matter then you can use these automatic call recorder apps and record any call with it. 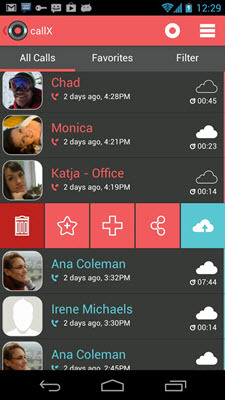 For Fun – You can also record calls and then have fun with your friends by using these call recorder android apps. Here are the best automatic call recording apps for android smartphones. Most of these phone call recorder apps have around 1 million downloads and all of them have an average rating of more than 4 (out of 5) on Google Play. Note: You should check the compatibility of call recorder app with your phone as not all call recorder apps work for all phones. Also these call recorder apps does not require you to root your android phone. A very good call recorder app that can automatically record your incoming and outgoing calls. You can also specify that which calls to record and which not. It comes with GoogleDrive and Dropbox integration which allows you to store and synchronize calls on the cloud. Recorded calls are saved in the inbox and you can listen the recorded calls anytime. There is also a pro version of automatic call recorder app available which is known as automatic call recorder pro. It contains no ads and you can set calls from particular contacts to be saved automatically on the cloud. 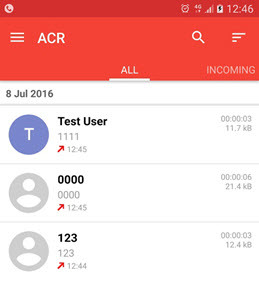 Another very good free automatic call recorder app that is known by the name ACR. This is easily one of the best free call recorder android apps and it comes with tons of features that include search, auto email (pro), auto delete recording, various recording formats (3gp, mmp4, ogg, wav), Google Drive and Dropbox Integration (pro), password protection, share recordings and much more. The pro version of another call recorder app comes with more features. 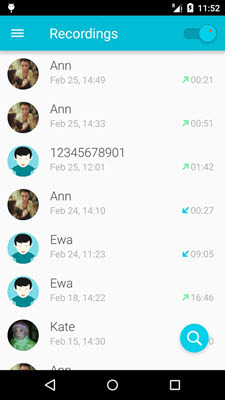 Overall a good automatic call recorder app that you can try for your phone. A simple call recorder that does what is says. This automatic call recording app can be used to record all your calls and you can also choose to enable/disable call recording. Various features include lock recordings, share recordings and more. A simple, free and easy to use call recorder that can record all your phone conversations. 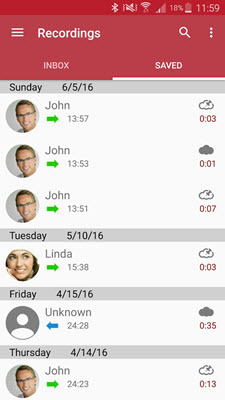 You can organize your recorded calls by time, name, dates and play them. 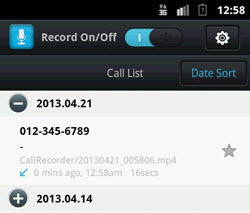 This call recording app also lets you save recorded call in mp3 format on your SD card. A very good automatic call recorder with nice set of features. 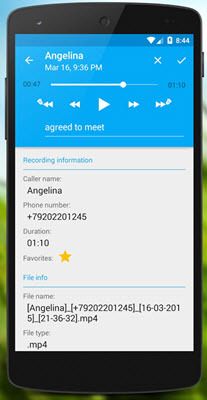 Using this automatic call recording app you can record calls automatically in MP3 file format. The recording quality is pretty great and the various features include automatic call recording, shake to record, share recording, cloud service integration, notifications etc. 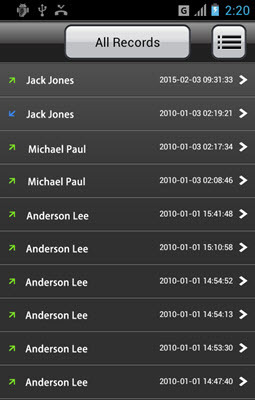 This call recorder app supports most of the smartphones including Samsung Galaxy S Plus, Galaxy S2, Galaxy S3 and Galaxy S4. 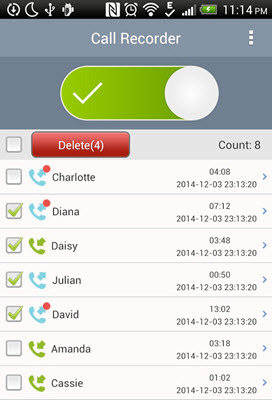 Call Recorder Automatic is a simple to use free call recording app for android devices. It can record all your calls automatically and you can playback, manage and share your phone recording later on. It can record both incoming and outgoing calls and you can also choose which calls to record and save. Auto Call Recorder 2016 is one of the most downloaded call recording app on Google Play. This phone call recording app comes loaded with features and it support many other languages besides English. The app can record calls automatically and comes with advanced features that include recording calls in HD voice quality, password protected recorded calls, caller details, notifications, mic and voice record, contacts backup and restore. This auto call recorder app consumes low resources and supports popular recording formats including 3gpp, mpeg4. A simple call recorder for android phones. It can record both incoming and outgoing calls and can save the recording in 3gp format. You can also share and send the recorded calls via email, any cloud storage, Bluetooth etc. The app is really tiny having size just over 1MB. Super Call Recorder is a great call recorder app that can record calls automatically. The user interface (UI) is very simple and easy to use. It can record both incoming & outgoing calls and is completely free to use. Features include crystal clear recording, built-in playback, share recorded calls, export recorded calls to SD card and automatically recording to mp3 format. A tiny phone call recording app for android that consumes low resources. 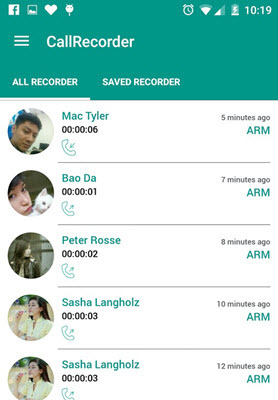 A nice call recorder app that record calls automatically on your android mobile phone. A simple and effective call recorder and you can save the recorded call in mp4 or 3gpp format. You can also set password and share recording via email, Bluetooth etc. 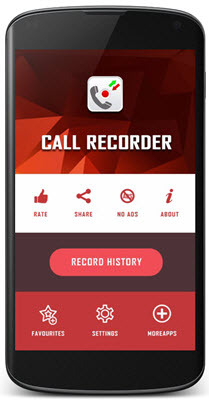 A totally free phone call recorder app for android that can record calls in high quality. It can automatically record all conversations and can password protect them. You can change the audio source and recording forma this call recorder app. Other features include share recordings, automatic turn on speaker, notification and delete call records. 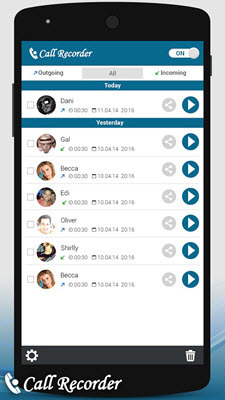 A feature rich call recorder android app that can record calls automatically and manually. It supports variety of recording formats that include amr, mp4 and wav. This app also lets you to record selective calls which you have chosen. Other Features include shake to record, synchronization with Google Drive, widget support, notifications, manage recorded calls and more. 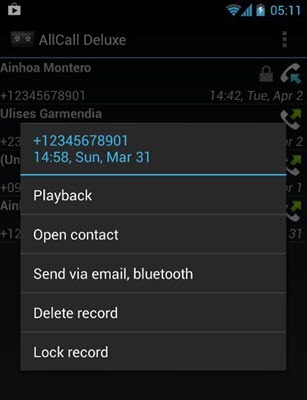 Just another automatic call recorder app for android phones. You can record the calls in mp4, wav and amr format. Features include automatic recording, selective recording, share recording and more. I have listed down the top Automatic Call Recorder Apps for Android phones that works good. If you have anything to say or want to suggest any other good android call recorder app then you can connect with us by leaving a comment below. Have you tried all these call recorder apps? I tried many call recorder but unfortunately no one works. OK i will look for an app that works with Moto G.